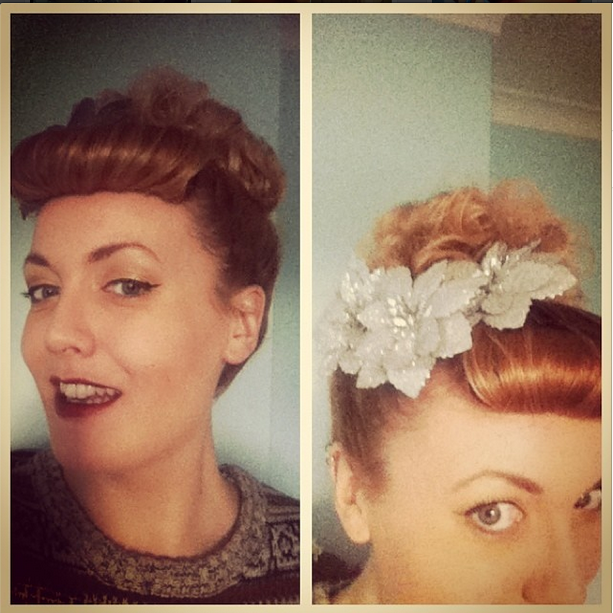 The Ramblings of Roxie Roulette: A Mid Century Marvellous Market! After a little journey to London, a long walk down the wrong road and many confused looks at my map, I found the location. Stepping inside I was greeted by Bettina, who was looking like a swan in water gliding around in a gorgeous Bernie Dexter dress, and I signed up the raffle - sadly I did not win, boo! But, I did certainly come away with some bargains anyway! I had had my eye on a hair ornament (I say ornament because they are far more than just a flower!) from Rosie Alia, so when I saw a trio of silver glittery poinsettias I had to have it! It was pride of place in my hair on Christmas day. Sticking with the sparkly things I got my hands on a late 1950s/early 1960s gold top from Miss Turnstiles. I picked it up off the hanger and immediately fell in love, never did I think it would fit me, but alas it was perfect! I wore it with a pencil skirt to my parents friends' soiree and everyone admired the sparkles like little magpies! My last buy was a pair of bauble earrings; sadly no photos of those, but I loved the novelty of them! It was perfect with my poodle! It was such a lovely excuse to go to London, and I spent the entire day with friends from all over the south who I didn't think I would get to see again until at least the springtime. Bettina had put so much work and effort into the day, and I'm so happy that it came off swimmingly for her. As London's only Mid Century market it is a refreshing take on the vintage fair that is often plagued with what I think of as charity shop fodder. 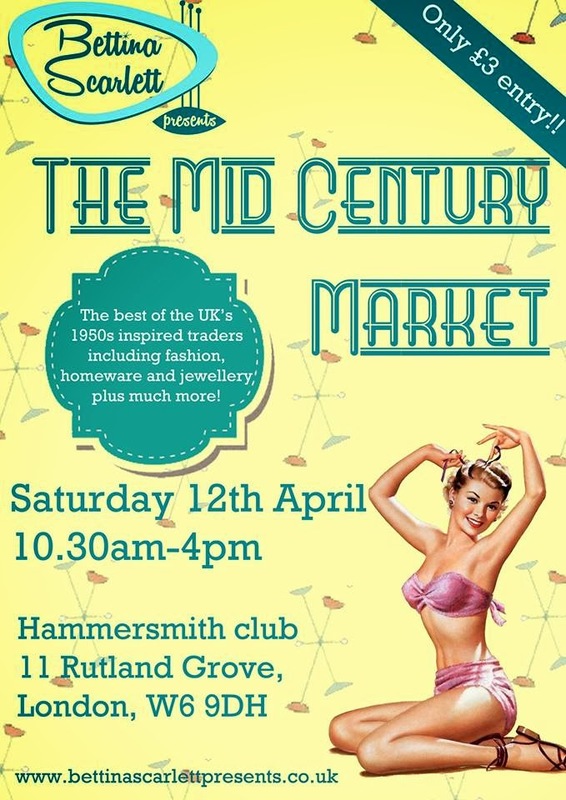 Catch Bettina Scarlett presenting her next market on 12th April, at Hammersmith Club, W6 9DH - just in time for Easter!